Royce Milano Feather-Lite Manmade Leather Foil Stamped Passport Jacket. 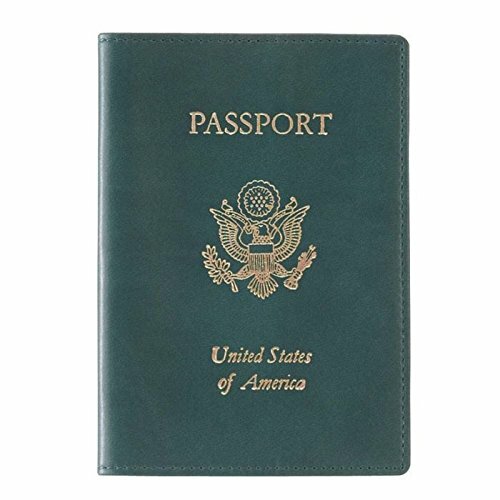 Milano Feather-Lite Man-Made Leather Passport Jacket with "PASSPORT" "United States of America" and the U.S. seal elegantly gold stamped on the cover. Dimensions: 5 5/8" x 4" x 1/4". The perfect presentation for a gift on any occasion All Royce small leather products deliver in an upscale 2-piece dark blue gift box, thick silver elastic ribbon with bow, dark blue tissue paper, and an embossed silver sticker. At no additional cost! Dimensions - 5 5/8" x 4" x 1/4"
Manufacturer: Emporium Leather Company, Inc. Publisher: Emporium Leather Company, Inc. Studio: Emporium Leather Company, Inc.